This basic southern staple, simple syrup, is a must have in any kitchen or bar. This style of syrup is used all over the world for lots of things, not just in the south. It is, however the secret to true southern iced tea. Simple syrup is easy and quick to make and there are endless ways to use it in the kitchen and bar. 2 cups water, enough to cover the sugar by 1/2 inch. 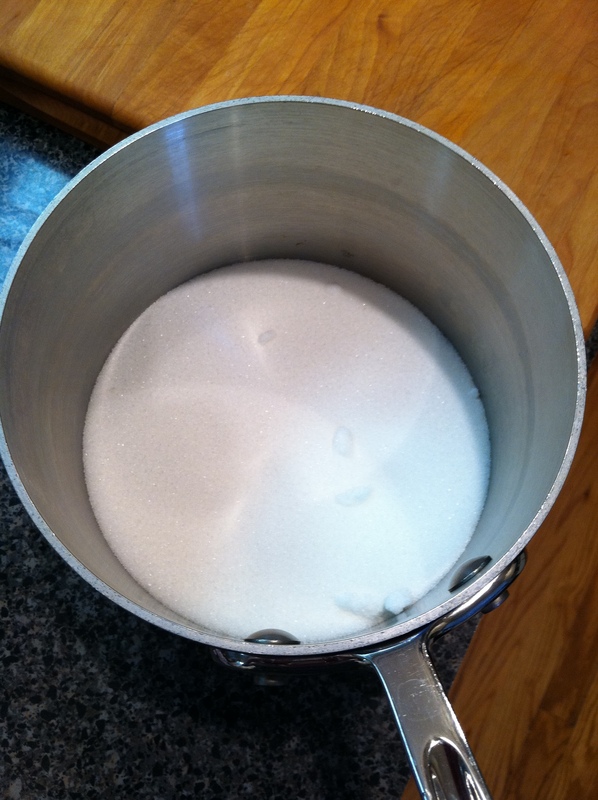 Put the sugar in a sauce pot, add water to cover the sugar by 1/2 inch. Stir well. 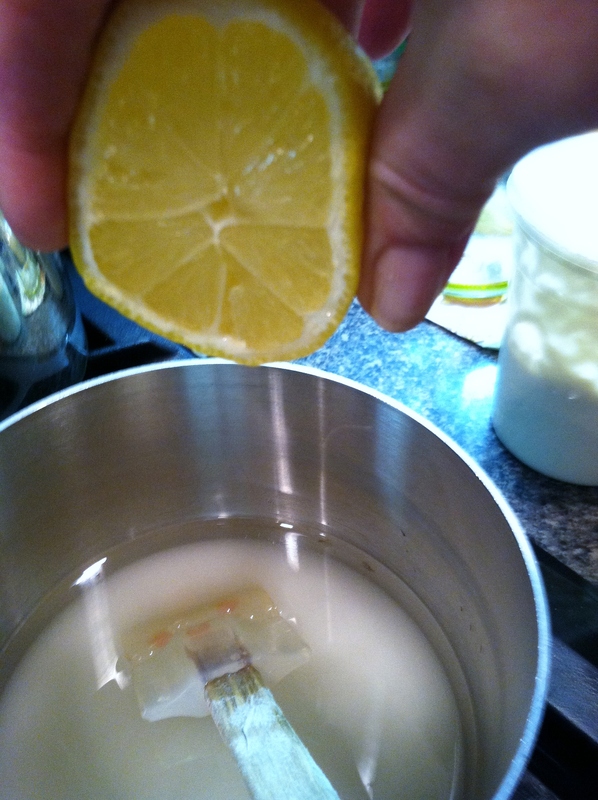 Place the pot over high heat; add the lemon juice and bring to a boil. 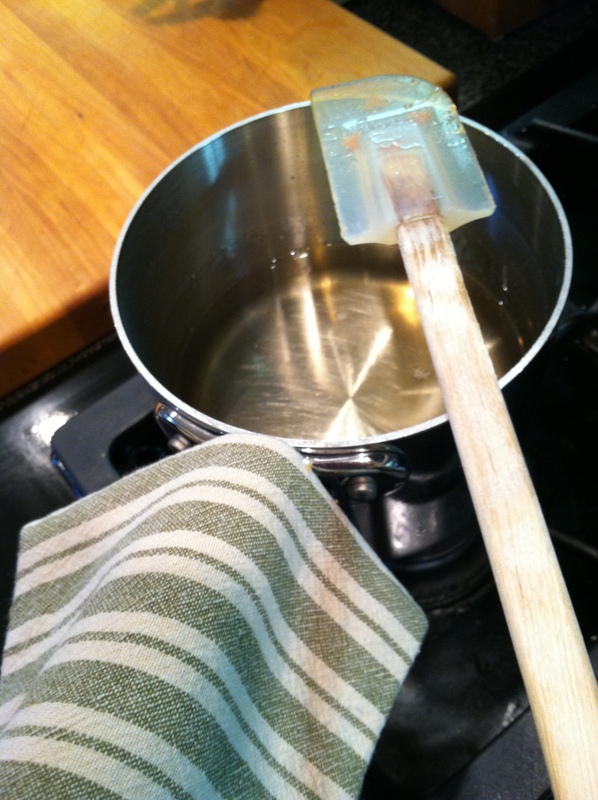 Stir, not constantly, but often enough to prevent scorching on the bottom. 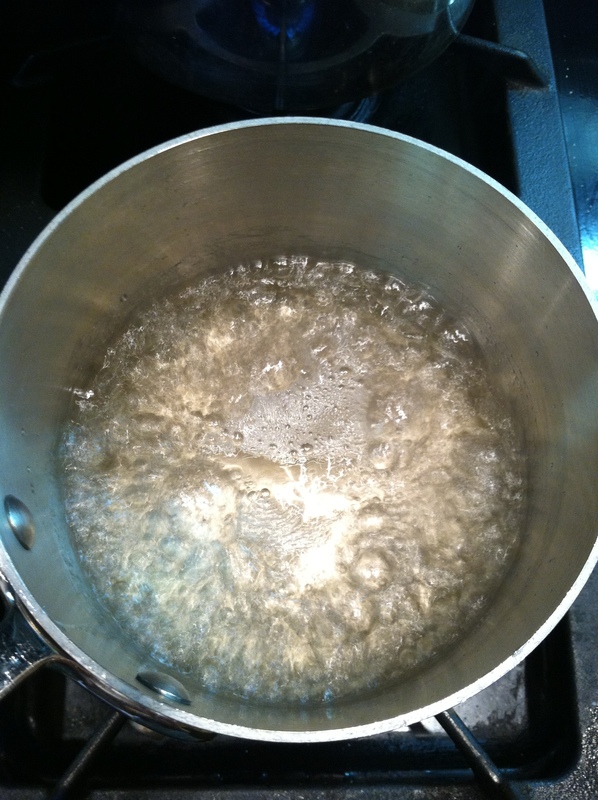 Once the mixture comes to a boil, the sugar will turn clear. Allow to boil for 1-2 minutes, turn off. 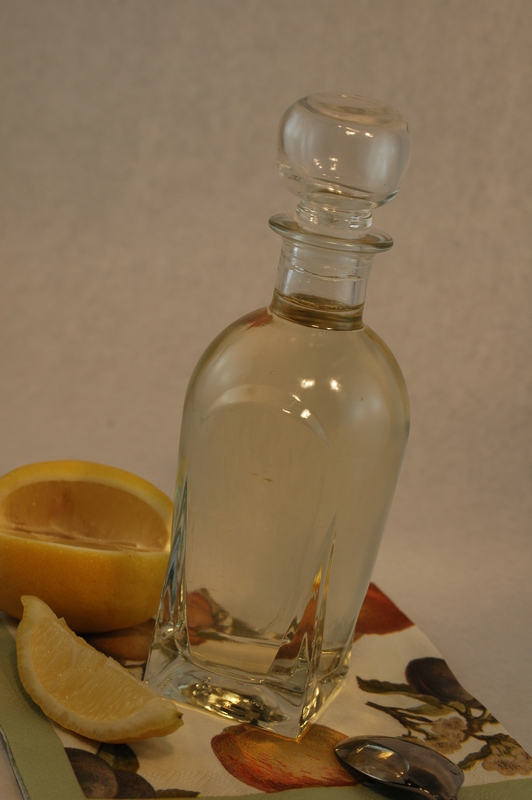 Cool the mixture before transferring to a jar or bottle. While the sugar syrup is cooling, put some kind of “sign or symbol” on the handle so others know the pot and contents are hot and to leave the pot alone. Use caution and place the pot well to the back of the stove out of harms way. Sugar burns are very nasty and go really deep. Avoid at all costs, especially around children. The syrup is shelf stable. Keep it handy to sweeten iced tea, lemonade, tea or coffee, use it over fresh fruit, in meringues, or even in marinades and specialty bar drinks. You can infuse flavors into simple syrup, add a vanilla pod, lemon, lime or orange zest, fruit puree, basil, lavender, or mint for a few ideas. Be sure to strain the flavor elements out before using. The vanilla pods or herb leaves do look nice in the bottle. My favorite way to use this syrup is to splash some into iced tea and top with a lemon wedge. 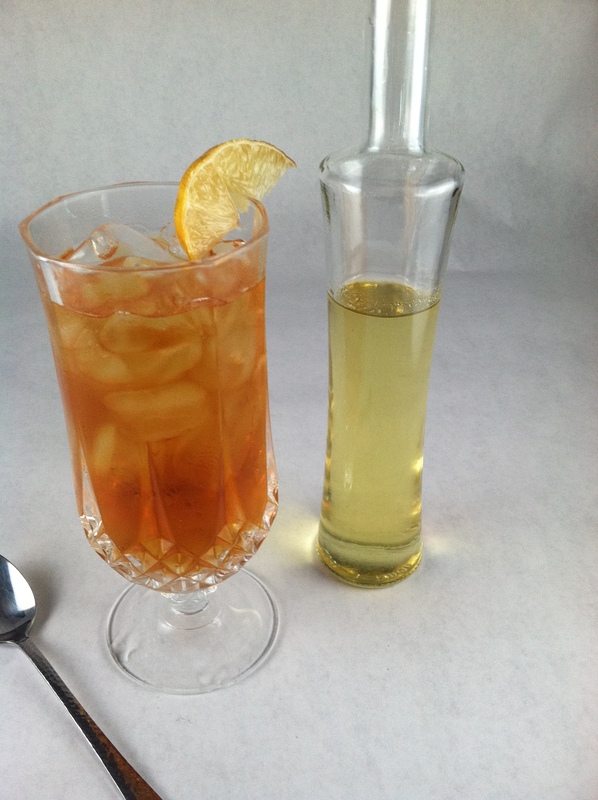 This entry was posted in Recipes and tagged bar drinks, cooking, Iced tea, Lemon, simple syrup, Sugar, Syrup, syrup ingredients, Water. Bookmark the permalink. You will be amazed how often you find uses for it. What a great idea. I’d love to make some of my own syrups! I like lemon syrup in tea.